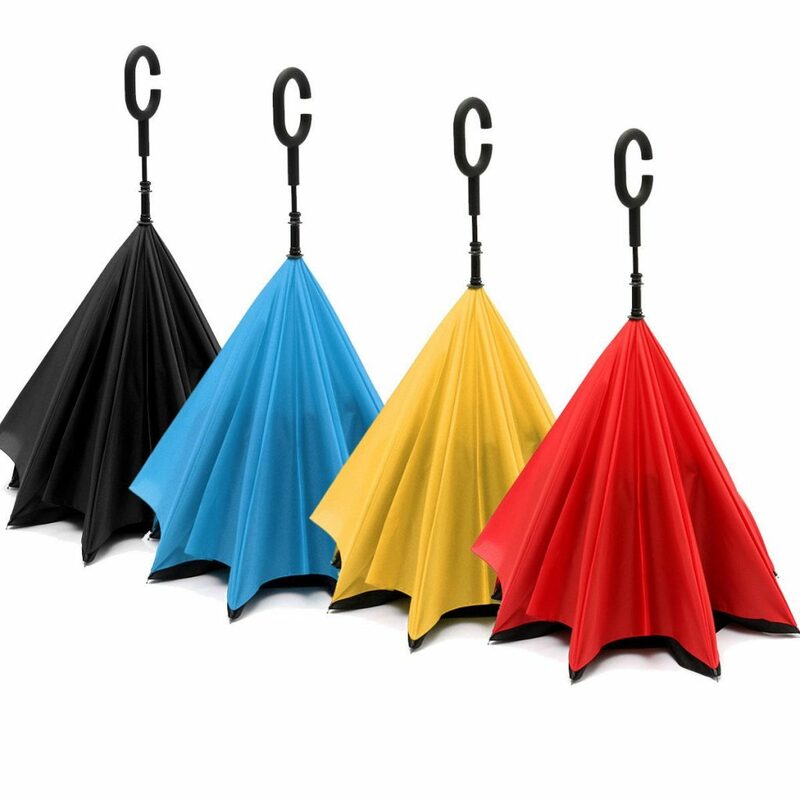 Reversible Umbrellas are double layer umbrellas made with a concept of no water drips after the use of the umbrella. Shubhamm Inc is one of the first company that started the reversible umbrella manufacturer in India. 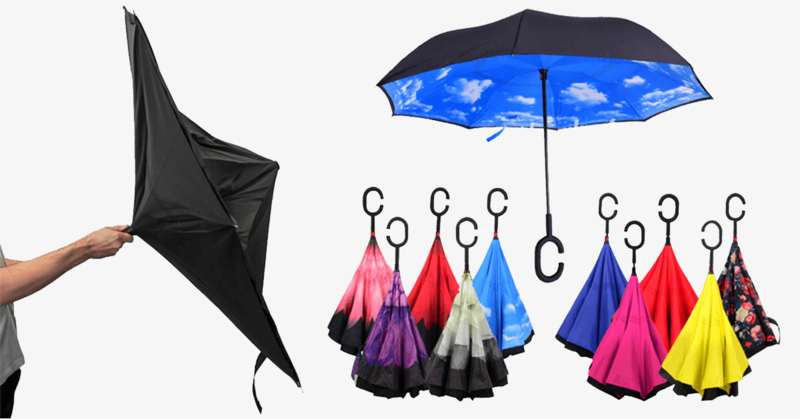 A reversible umbrella is also called as the inverted umbrella, car umbrella, reverse folding umbrella or inside out umbrella. 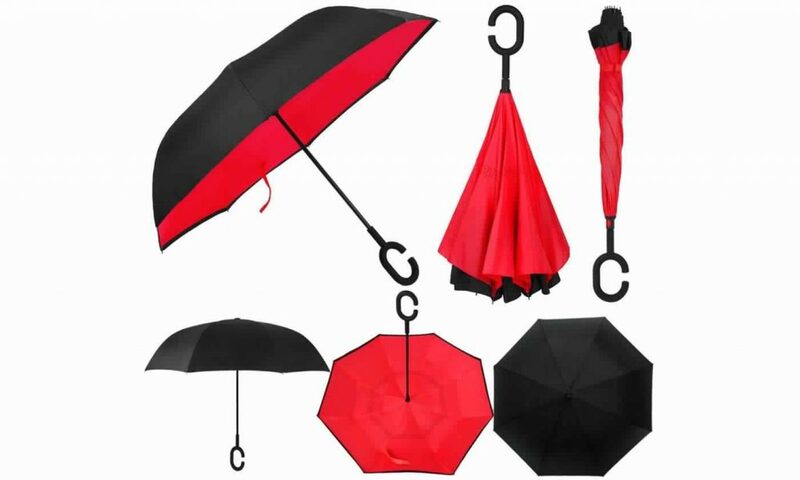 The name car umbrella is uniquely given as this umbrella is most helpful for those who travel by car. There are very few Reversible Umbrella manufacturer in India. The reason for this is the complicated structure in manufacturing the reversible umbrellas. It has a double layered fabric on the top as the bottom fabric covers up the wet part when closed. The ergonomics of this umbrella are completely different from traditional umbrella. The wet side of umbrella becomes inside with the dry side exposed, so there are never wet clothes, car, floor, bag etc when the umbrella is closed. It never drags the water into your car or across your lap. Reversible Umbrellas are extremely convenient for getting in and out of a car and staying perfectly dry. The eight steel balls of the frame are transformed into eight legs upon contracting the umbrella, which can stand up on its own. This is ideal when you have nowhere to prop your umbrella up against. The handle is made of that soft-feel plastic that almost feels rubberized. It helps the grip (especially when raining) and feels sturdy. The button to unlock and lock it in place feels both sturdy and easy to latch and unlatch. Shubhamm Inc is the only company that provides the PRINTED version of the reversible umbrellas. The printed part will be on the inside of the umbrella. When closed, the prints will be brightly visible. What are you waiting for? Get this innovative umbrella printed for your brand right away. Use the enquiry button or contact us now.